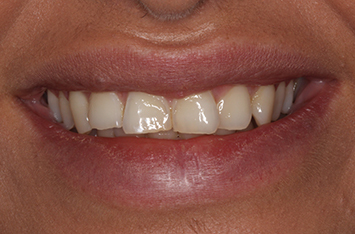 Is your confidence knocked by stained, chipped or misshapen teeth? These problems can all have a major impact on our self-esteem, but did you know they can be corrected in one very simple, minimally invasive procedure? At City Dental, we are proud to provide dental bonding, a quick, convenient treatment that will have you smiling with confidence in just one appointment! If you’ve experienced gum recession and root exposure as a result, we can also use dental bonding to stop your teeth from feeling sensitive to hot and cold temperatures. 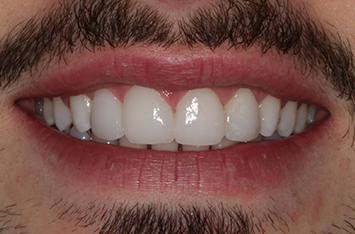 One of the best things about dental bonding is we can do it in a single appointment, so you don’t need to wait long to smile confidently again! Before we begin the bonding procedure, we’ll have to roughen the tooth’s surface so that the resin can bond to it easily. Once this is done, we’ll use a special layering technique apply a tooth-coloured resin to restore, reshape or build up the damaged tooth, moulding it for a perfect fit. 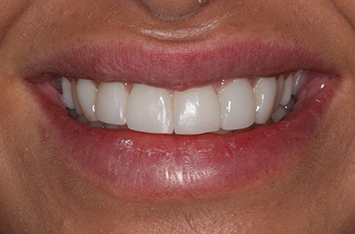 As soon as you’re happy with the position of the resin, we will harden it using a curing light. Then all that’s left to do is sculpt and polish your tooth to give it a smooth, even finish. The best part is, you’ll be able to see the stunning results right away! 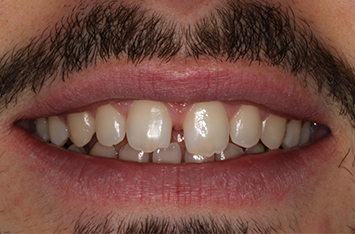 If your confidence is suffering because you don’t have the smile you’d like, dental bonding could be the treatment for you. Call City Dental today to book a consultation.